FROM TIME TO TIME YOU MAY BE FORCED TO MAKE FINANCIAL DECISIONS WHEN YOU DON’T HAVE AVAILABLE SAVINGS. There are options with-in reach for those of you who are struggling to get ahead provided you find one that works with your budget. In this era of digital transactions, credit cards have a myriad of uses ranging from cashless transactions, reward points to special deals. In fact Mrs. CBB and I typically only use our credit cards to make purchases because of the perks. We pay our credit card in full at the end of the month and hardly ever have to step foot into our bank. Credit cards offer the convenience of shopping almost anywhere across the globe with a swipe, tap or insert payment option. If handled correctly credit cards can be a source of freebies and financial help in the event you are stuck without emergency savings as back-up. Even if you do have savings, sometimes they are just not enough depending on the circumstances. In addition, you can access a fast pre-approved loan within and sometimes over their credit limit. The company advances you the amount that you can pay at a later date with a defined interest rate. Since it is pre-approved, the need for additional documentation is eliminated, this makes processing and disbursement of the cash super-fast. Some banks may offer loans to users who have credit card loans from another bank. This is made possible through balance transfers on EMI where you are allowed to transfer outstanding balances. That streamlines your access to credit and you just have to pay to one entity instead of following up with many. Here you get unsecured financing. Due to this fact, issuers have a stringent qualification and eligibility criteria that see only a selected few qualify. To be able to apply for the loan, you need to have a good history with a commendable purchase and repayment pattern. Note that this method of getting financing is best for people who discipline themselves financially. Generally, it is wise to take up such financing when you are confident that whatever you’re investing in will help you to pay the entire loan plus interest. There is a ceiling on the maximum amount of cash you can get access to. If those patters are alright, then you can get access to a reasonable amount of cash very fast to take care of your urgent but calculated financial obligations. This fact reiterates the importance of only using such allocations for worthy purposes and only when you’re sure of repayment. 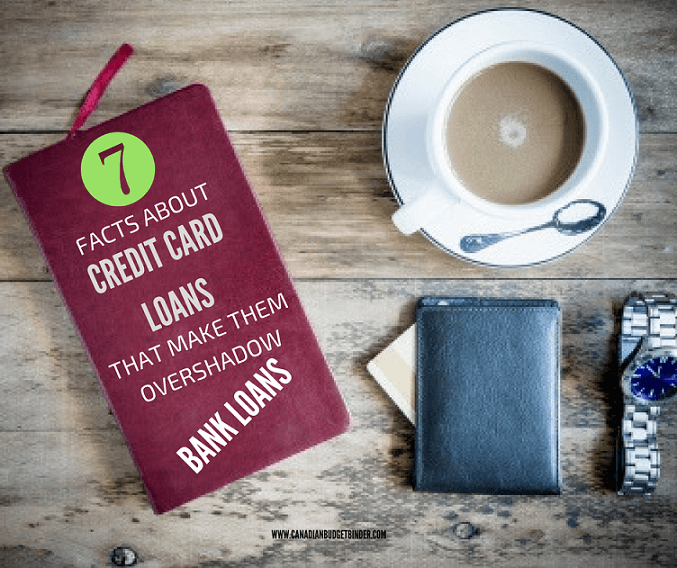 This is because credit card loans come with a very high-interest rate. It’s recommended that you only use such provisions to make purchases or payments that you can pay off quickly by or before the due date. Astute business people face cutthroat competition and have to always be on the lookout for opportunities. Sometimes opportunities arise that need quick financing but also come with quick possible repayment. Such short-term financing needs can be quickly taken care of by a credit card loan. Normally, on your due date; you will be facing an obligation to pay a minimum amount on a monthly basis which is around 1% – 3% of the total balance. The interest rates are computed based on average daily balance as opposed to the ending balance for any given month. It’s important to understand how loans are computed before you say yes. The element of financial surprise is the hardest thing for people to deal with when there is no spare money kicking around. They are just too good to resist. They are positioned to appear like they are the only thing you need for all your financial needs. With such financing, you have an option of making expensive purchases by breaking the payment into monthly installments. Some issuers will give you an option of transferring the outstanding balances from other banks. Most do not require a guarantor. Application and disbursements here is quick compared to other methods. Most will offer a zero interest on purchases provided you pay your bill within the provided grace period. You can also take advantage of sign-up bonuses such as flyer points or even cash. Another thrifty trick that some people use is putting money in a savings account so that it accrues interest, then using the card to make purchases. This way they still earn interest in their own banked money, as they continue to spend and take care of their needs. As I mentioned above we hardly carry cash on us and that’s because we’d rather have money earning interest in our bank account until it comes time to pay off the credit card in full each month. Both credit card and realisticloans.com personal loans can be brought together and used in rolling multiple debts into a specific payment. When you are in a capacity to pay off your debt quickly and you have an excellent credit rating, the best option could be a balance transfer. This allows you to move high-interest debts to a credit card with zero interest introductory rates. However, you must put a plan in place to pay off the entire debt at least before the 0% rate period elapses. Failure to do that will attract an interest rate on your remaining balance coupled with a retroactive interest on your initial balance. For balance transfers, some providers charge between 1% and 5% while others have zero charges. This option presents more benefits if you are offered a lower interest rate than you can pay on your existing debt. This means you can save more money or possibly pay back your loan faster. The convenience attained comes at a cost if you are not careful, but some of these fees can be avoided by observing due diligence on your part. It is therefore paramount that you check all possible applicable fees, and ensure that when you take up this route, you can find ways to avoid paying anything unnecessary. Unless your rating is good enough to allow you access to a 0% interest promotional offer, a credit card proves to be an expensive alternative for long-term finance. However, they still overshadow getting loans from banks for the reasons mentioned above. Make sure you shop around for the best service provider who fits your needs. You will come across differentiated interest rates and reward regimes. Don’t just glance at the provisions read everything so you aren’t surprised later on. The total cost is affected by interest rates, grace periods and penalty fees. In case you didn’t pay your balance amount in full, make a settlement as soon as you can and don’t wait for the due date. To avoid late payments you can schedule automatic payments online or mail payments weekly. Keep track of your balance either by phone on checking online. In the event where you discover you will have a late payment, contact your service provider and find out what alternatives they have for you. Explaining your financial situation is better than avoiding it and dealing with consequences down the road. Finally, when you realize that you have a credit problem, it’s always prudent to contact the card company and stay calm. When you let them aware of your intentions to pay, they can offer realistic schedules. They want their money and if you’re willing to work with them most often they will respond. Discussion Question: Have you ever used credit card loans or bank loans for short-term obligations? Did you run into any problems along the way? Share your comments below. Do you know a credit card debt victim? Credit Card surcharges- Would you pay them? The above article may contain affiliate links.